Lindenfeld is a mountain village from the Caraş-Severin county, built by the pemi (German colonists that came from Boemia), and today abandoned. The tough life conditions, the harsh winters and the difficult access roads have lead to a gradual decrease of the population, the last known person to live here was registered almost two decades ago. Just like an outdoor museum, the ruins of the old pemi village are annually visited, especially in the summer, by a considerable number of tourists. Located at an altitude of 760 meters, on the Semenic Massive, Lindenfeld was founded in 1828 by the pemi population that arrived from the Klattau region. 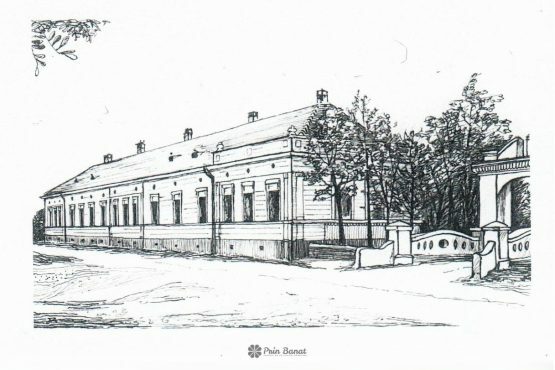 During the same year, they have founded four other colonies: Sadova Veche, Brebu Nou, Gărâna and Wolfswiese1)Pesty Frigyes – A Szörényi bánság és Szörény vármegye története, Budapest, 1877. The evolution of the number of locals from Lindenfeld meet its maximum level in 1920, when 302 souls lived here. In the “Anuarul Socec al României Mari” the village appears with a population of 230 people, with the most important train station being, just as in our days, at a distance of 23,5 km, in Caransebeş. The Lindenfeld population was exclusively of German origin and never had a mix marriage. Maria Wasselak, an ex-local, remembered that the youngsters were lacking in future opportunities, were learning in a simultaneous class I-IV, lead by a single teacher, who also had the task of teaching the Romanian language to the children, difficult thing because at home they only spoke German, their parents not knowing Romanian at all. Inside the village you could only get on foot or with the horse carriage, on an unpaved road. The men, but also a lot of women, were working in the forestry field (the cutting and replanting of forest trees). These works were done almost exclusively during winter, in the summer the locals being busy with works on their own fields (lots of land). The money they won were enough just for the bare essentials. Some young men looked for jobs in Caransebeş. Because of the lack of access, the transport was difficult: a bus traveled right up to the foothills (Unternberg, that’s how the people called the place, on the Poiana-Lindenfeld forest road). From there, the workers had to climb the steep slope, on the unpaved road, for 30-45 minutes until the village2)Mircea Rusnac – Amintirile unei foste locuitoare din Lindenfeld. In 1975, there were 178 german pemi living in the “Linden Tree Field” (the translation of Lindenfeld). After that, the village was entirely depopulated, especially after 1990, when the majority migrated to Germany. The last pem, the Paul Schwirzenbeck elder, did not want to leave its village and lived alone in Lindenfeld until 1998. He died in the autumn of the same year, in Caransebeş, at the age of 83, being hit by a car. From the once lively village of Lindenfeld, today, there are only the church and a few houses still standing, all being in an advanced state of degradation. Still, we were surprised to find there a few houses in a process of renovation/construction. Regarding one of them we found out that it belongs to a German, whose ancestors were originally from Lindenfeld. His plan was to open a guest house here and to revive the old village of pemi through tourism. Walking along the piles of stone, that used to be part of the Lindenfeld house walls, we arrived to the cemetery fence. The vegetation has covered most of the graves and only a few of the crosses are still intact, many of them having fallen to the ground. Only a single grave is intact, the most taken care of, and the one who attracted our attention. On the plaque it was written the name of Hilde Grenzner, born on 18th of October 1942 and deceased on 11th of August 1945. It was surrounded by a iron fence and it had a candle on top, sign that someone close or someone that knew the girl’s story who left this world too early. Hilde was the girl of Juliana and Franz Grenzner. Her father was a leading personality in the small world of Lindenfeld. In those times, he owned a camera and a radio, which were rarities not just in that mountainous village, but in the entire country. Therefore, they were informed regarding what was going on in that time in the world. Franz knew that the nazi regime would not have a future in Germany and that the war would be lost. He tried to warn his fellow villagers, but these, just like other Germans didn’t want to believe him. Therefore, some got to look at them with suspicion or even hate, accusing him of being “bolşevic” . In those times, just like today, there was a big difference between those who would take an interest on the situation and the others. After 23rd of August 1944, it was proven that Franz Grenzner was right. The Germans from Romania were considered enemies, no matter what their previous opinions stated. Soon they started to be deported to the USSR Julianna Grenzner was also arrested and taken to Caransebeş for the same purpose, being saved from deportation by a brother, who offered to leave instead of her and who, because of this, lost the next five years being locked inside Russian camps. Franz Grenzner was held until 1945 inside four Romanian concentration camps, in miserable conditions including hunger, surviving only due to packages recieved from home. Home, where in the same period the misfortune took place. […] After the parent’s arrest, this happy family’s life got so much worse. Hilde got seriously sick during the conditions of the harsh winter of 1944-1945, but in the village there were no doctors and neither was the possibility of being taken somewhere else, being very weak. All the endevours of Julianna Grenzner of convincing a medic to go to Lindenfeld failed. After a short while, the poor girl died, while her father was still in camp (11th of January 1945). When he could get back it was too late and the tragedy had already happened. Hilde Grenzner, just like many other children and adolescents of those time, had died because of the lack of medical assistance3)Mircea Rusnac – Îngerul din Lindenfeld. They’re gone. They’re all gone! 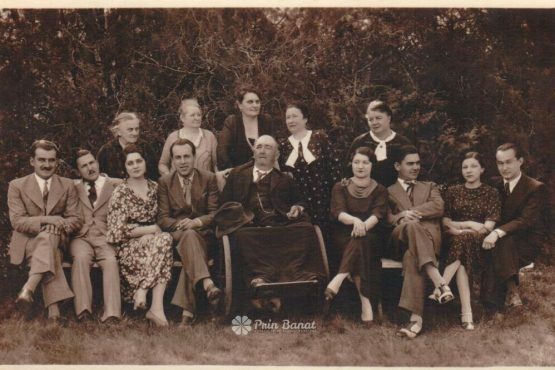 The pemi were household people and always took care that the road to Lindenfeld was always clean: “They were very clean people, the Germans. Look, right here they had a road, but now it’s broken. Seven days a week they would keep it clean so that the water wouldn’t break it”, remembers Elder Jurchescu. Unfortunately, today there is no one left to take care of the access road until the “linden tree field”, as the pemi did. In 2011, the Buchin City Hall poured gravel, with the intention of consolidate the road and, eventually, repave it – something that never got to happen. Even us, during our journey to Lindenfeld, because of the fear of the “cracked” road, we gave up the car and traveled the next 5 km on foot. Others, opposed to us, try and make it to the village with their cars. From Caransebeş to Lindenfeld you can get by car through Buchin-Poiana (see map). Until the exit from Poiana, the road is narrow, but paved. About 5 km before Lindenfeld, it gets worse and we don’t recommend trying to pass it by car, especially if you don’t have an 4×4. Another route ties this village to Gărâna, it passes through the mountains and it can be traveled by foot in approximately 3 and a half hours (one way). In the Lindenfend area there are several sheepfolds, so we recommend you to watch out for dogs (we miraculously escaped from them, saved by a shepherd). In 2005, Ioan T. Morar published a book that bears the name of the settlement and whose subject has influenced, in 2014, the launch of the movie “Lindenfeld, a love story”, directed by Radu Gabrea. 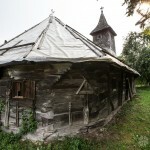 Also, Mircea Rusnac has been researching for several years the past of the abandoned village from the Semenic Mountains, publishing his results on a blog. We thank him through this way for all his help and for the shared information! 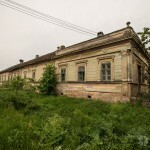 1 comment at "Lindenfeld, the abandoned village"